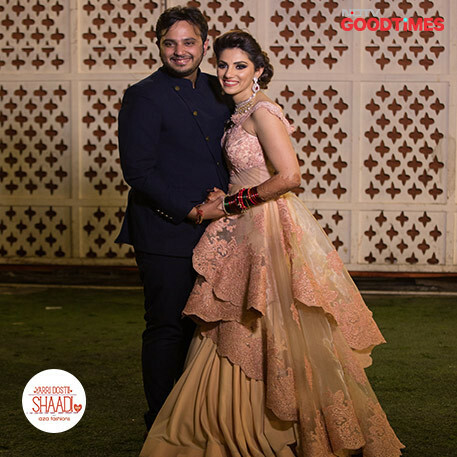 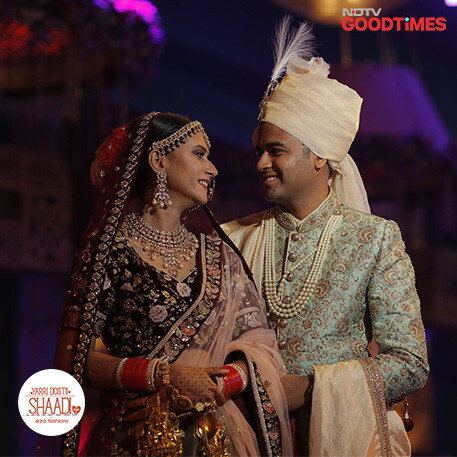 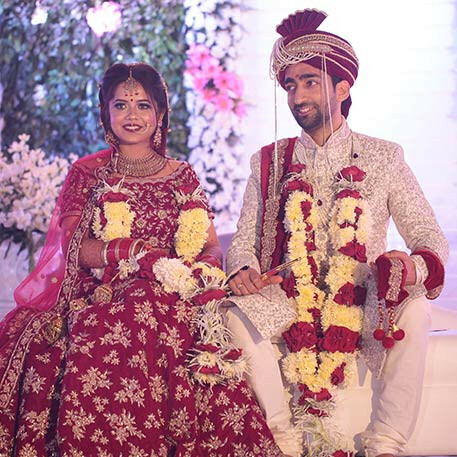 Meet our very first couple of Yarri Dostii Shaadi Season 3 with Aza Fashions, Diwiya & Pradeep. 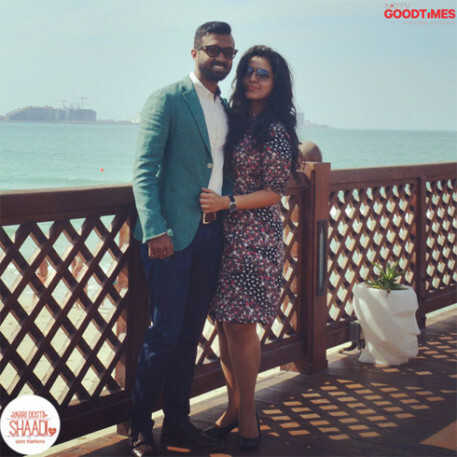 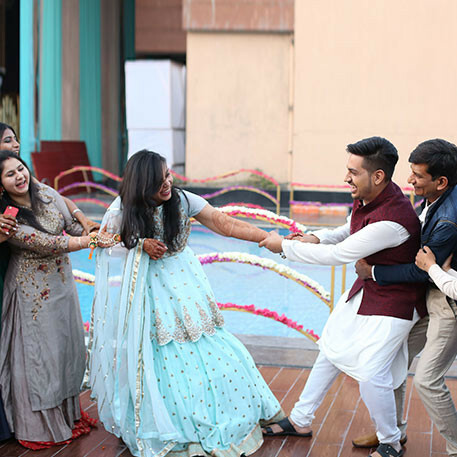 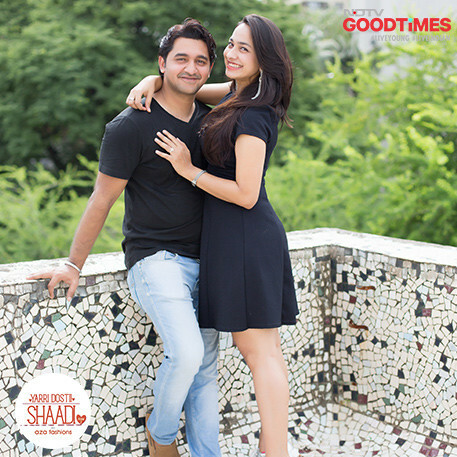 Diwiya and Pradeep fell in love during their MBA years, and have left no stone unturned since then to convince their families to accept their relationship. 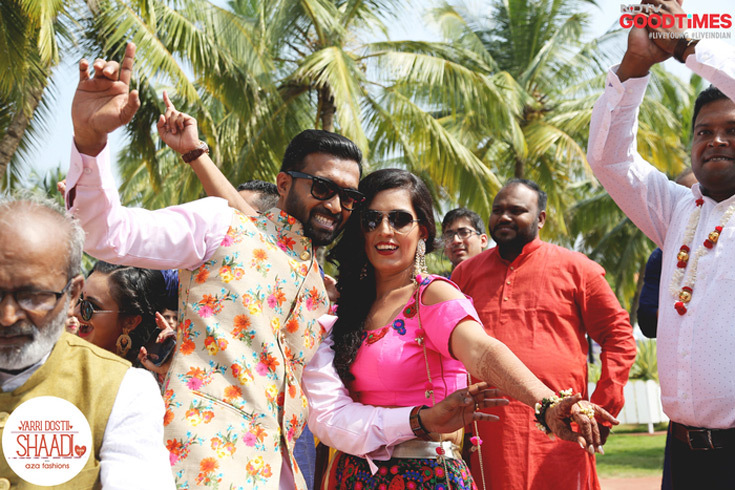 And long at last, here they are, getting married in Goa. 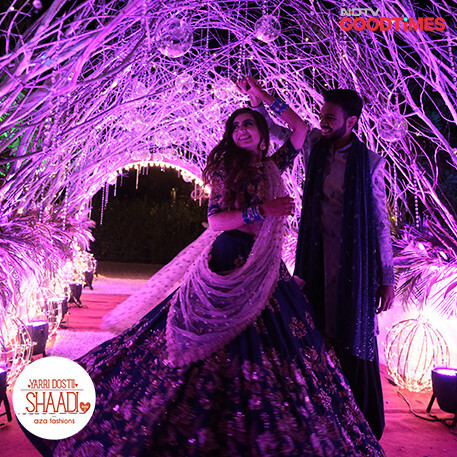 Dancing away to the beats of the dhol, Diwiya and Pradeep head towards their mehendi function with their family and friends. 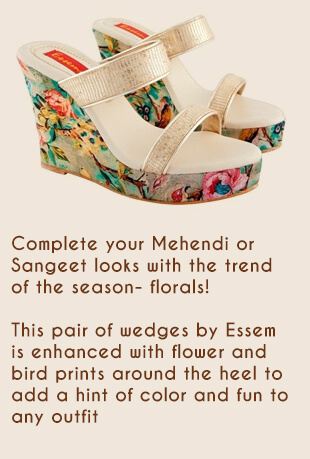 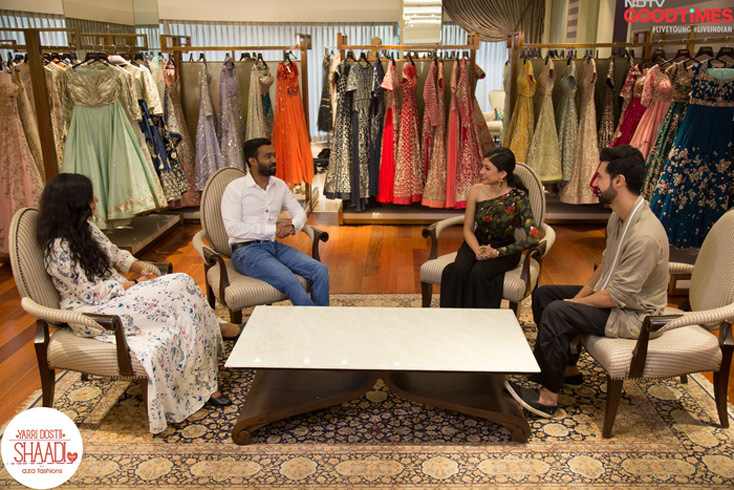 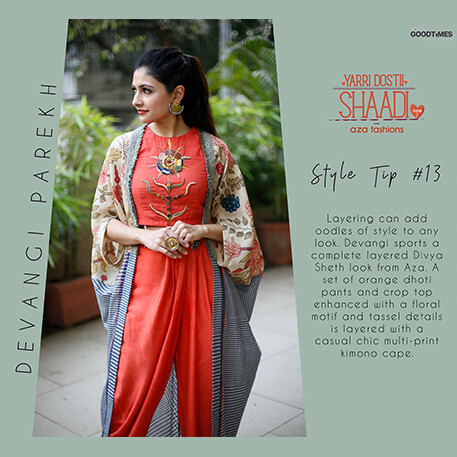 With the help of our chief stylist, Devangi Parekh at Aza, Pradeep and Diwiya pick out their sangeet outfits. 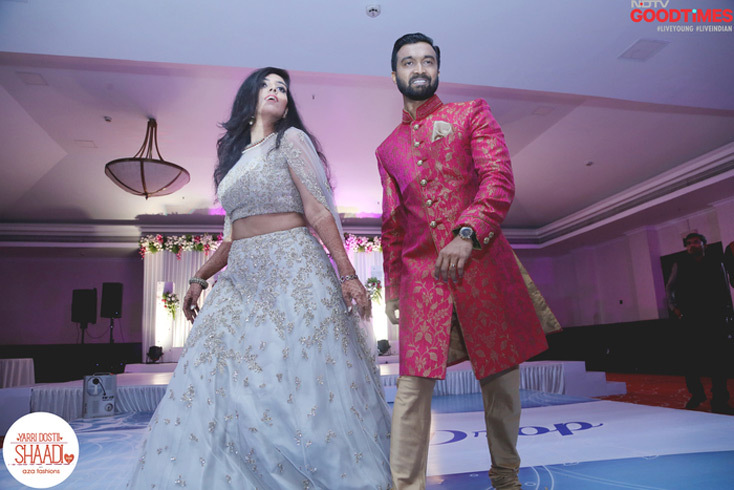 Breaking the dance floor with their hip dance moves, Diwiya and Pradeep left the audience in awe. 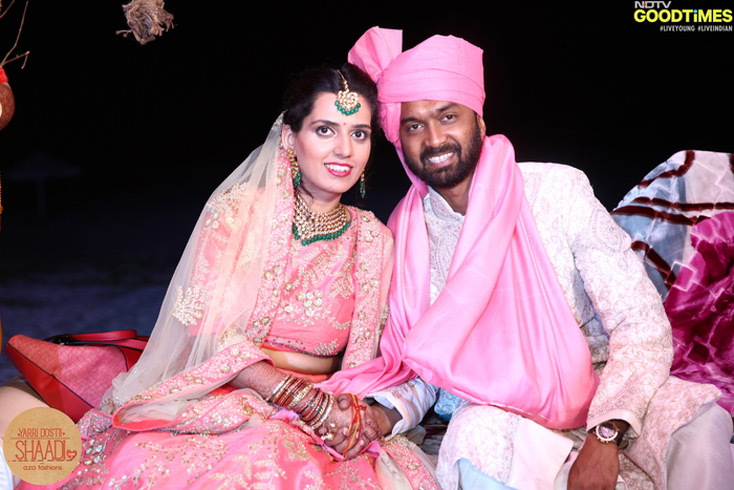 The eyes say it all. 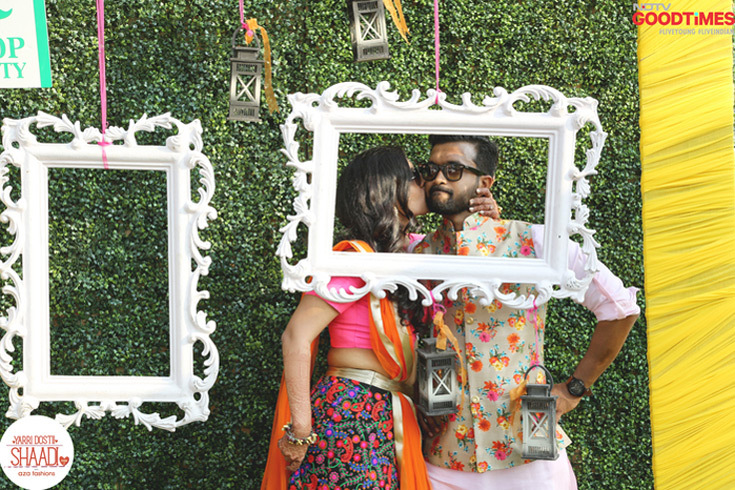 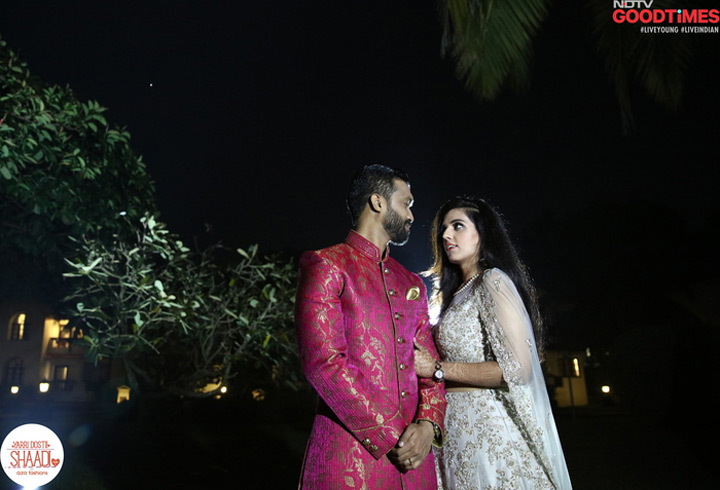 Diwiya and Pradeep look into each other’s eyes lovingly, and are caught in a candid moment. 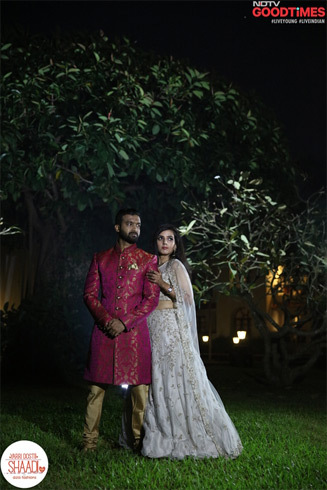 Pradeep and Diwiya look absolutely stunning in their Aza outfits designed by (----) and (----). 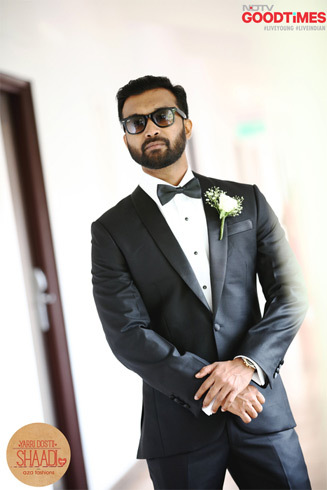 Looking every bit suave, Pradeep is ready to woo his “one and only”. 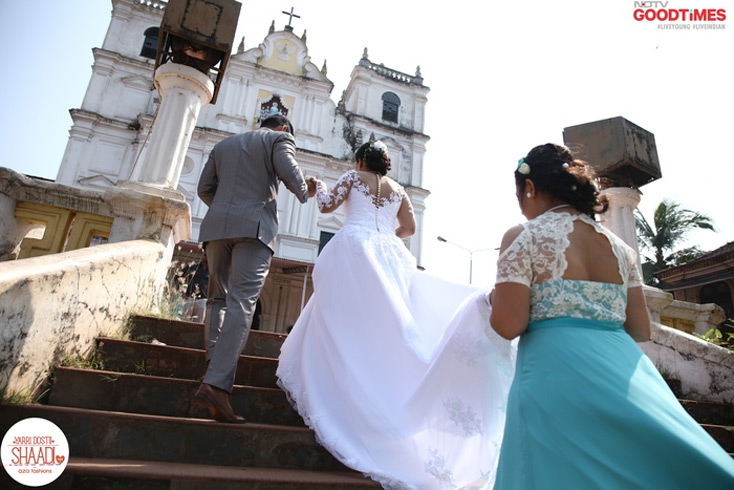 Escorted by the maid of honour Varuna and the best man Mikhail, Diwiya walks up the stairs of the church to marry the man of her dreams. 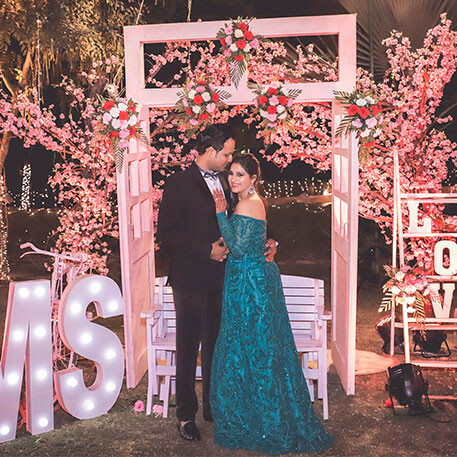 As if right out of a fairytale, Diwiya and Pradeep look like a pair made in heaven. 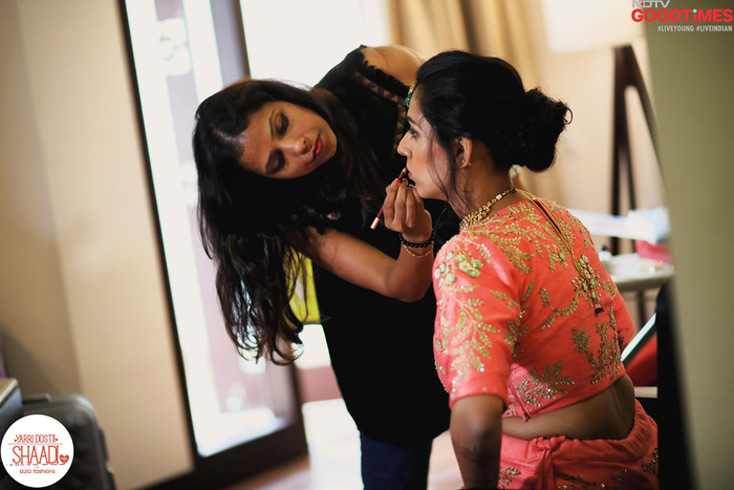 Diwiya’s final touch up before the Hindu wedding begins. 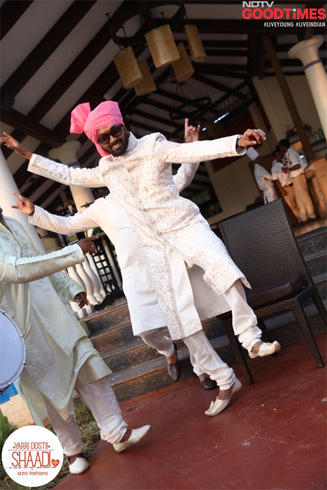 Pradeep is unable to hide his excitement, as the moment he had been waiting for all these years has finally arrived. 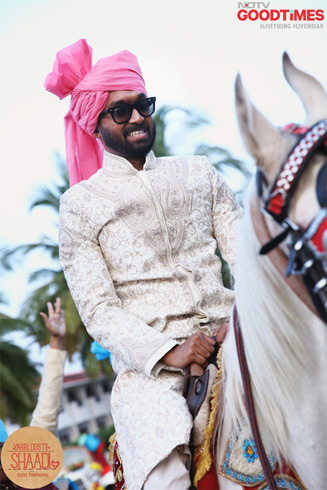 All geared up, Pradeep climbs the ghodi and the baraat heads towards the mandap. 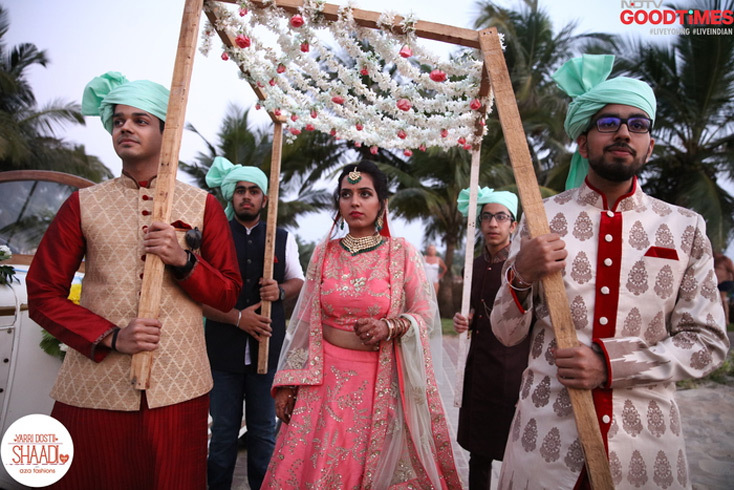 With her brothers on her side carrying the phoolon ki chaadar, Diwiya makes a royal entry that grabs everyone’s attention. 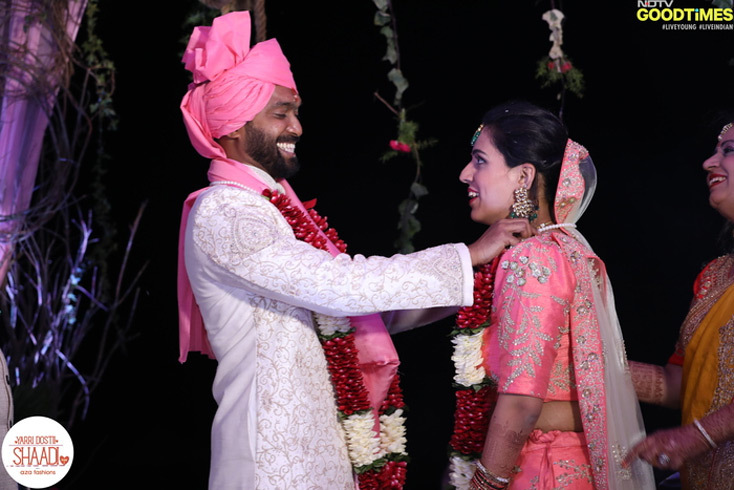 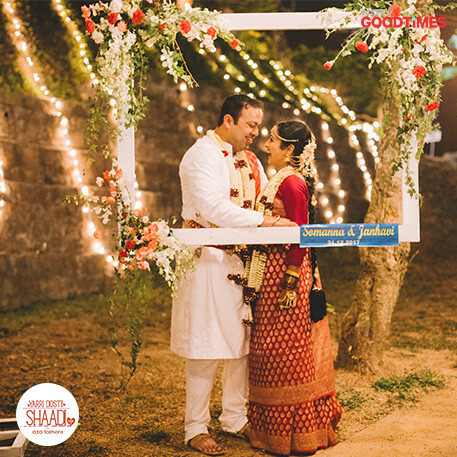 Pradeep puts a garland around Diwiya, making them life partners for eternity. 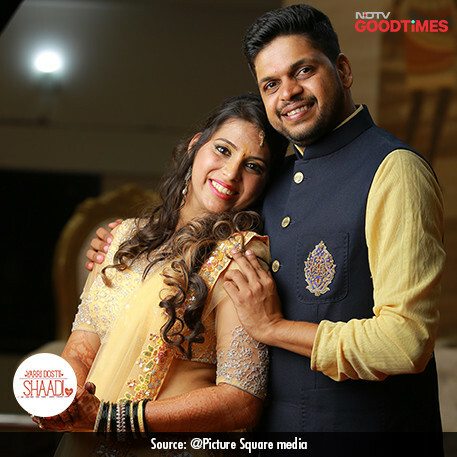 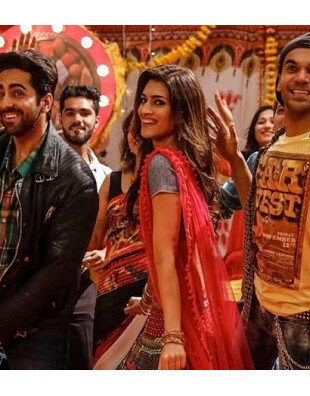 Diwiya and Pradeep’s wedding rituals come to an end, with all smiles. 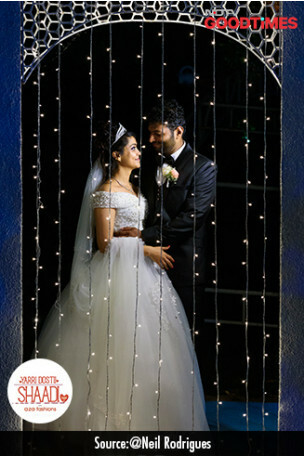 Finally, two souls become one.